The AmeriCorps "Classic" Tee sports a retro AmeriCorps design with a Corporation approved AmeriCorps logo featured on the right sleeve (not shown in picture). This shirt is fitted and specialty dyed for a feminine look. 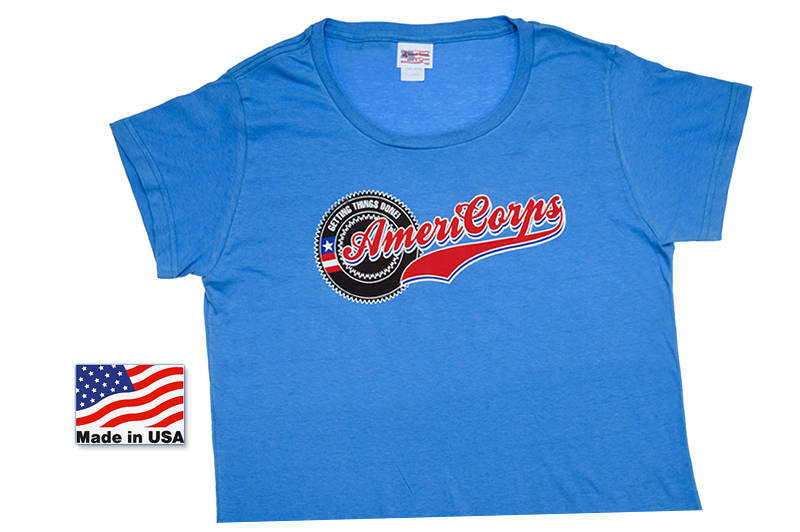 With a scooped neck and eye catching colors this tee speaks to the proud service of AmeriCorps volunteers. This tee is made of high quality, durable cotton strong enough to withstand the wear and tear of work. The AmeriCorps "Classic" Tee is sure to become a favorite part of your everyday work wear! !